Lupus erythematosus and lupus vulgaris. 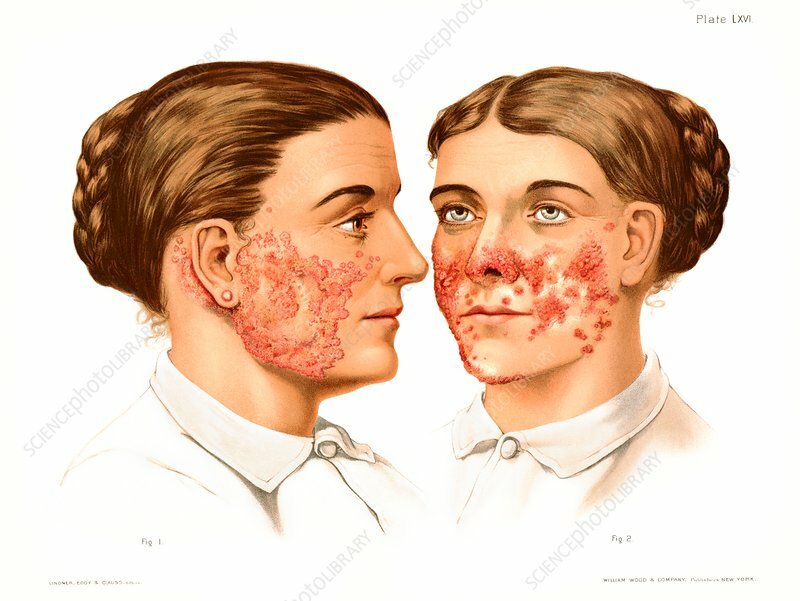 Historical medical illustration of a patient with lupus erythematosus (LE), left, and a patient with lupus vulgaris, right. LE is an autoimmune disease which can affect any part of the body, but most often affects the heart, joints and skin. Lupus vulgaris (also known as tuberculosis luposa) describes painful tuberculosis skin lesions, caused by infection with the bacterium Mycobacterium tuberculosis. From Atlas of Venereal and Skin Diseases by Prince Albert Morrow, published in 1889.